This article is a review of the supplement Procera AVH. This product contains three major ingredients that support brain health. It also supports cognitive health and contributes to overall well-being. You will learn more about this product and its suitability as you continue reading this review. Acetyl-l-Carnitine- Helps in enhancing neurotransmission, which in turn increases circulation and the flow of blood in the brain. It also promotes nerve development and supports the functions of mitochondria. It boosts cognitive health by elevating the levels of acetylcholine in the brain. Huperzine- Inhibitor of acetylcholinesterase, the enzyme responsible for destroying synapse acetylcholine before feelings and thoughts are formed. Huperzine increases acetylcholine levels for the effective functioning of synapses. It also plays a significant role in protecting the brain from excessive calcium and free radicals. A single bottle of Procera AVH contains 90 capsules. Users are advised to take 3 capsules per day. Each container has 30 servings meaning that it can last for 30 days for a single user. Pregnant women and those planning to get pregnant should not use this product. This caution also applies to lactating mothers and persons under 18 years of age. Moreover, users should not exceed the recommended dosage. The manufacturer advises users to discontinue using the product and contact a physician in case they experience adverse reactions. This advice is a clear indication that users may experience unwanted effects while using this product. The price of one bottle with 90 capsules is $49.95 on the manufacturer’s website. The same bottle costs $44.95 on Amazon.com. Buyers can benefit from a bundle offer of a 10 percent discount for three bottles bought from the manufacturer. Buyers may also consider purchasing a package of 60 capsules at $39.99. This price is high compared with the prices of other products with similar functions. We presume that high pricing is a sign of quality. We did not find any money-back guarantee on the manufacturer’s website. The lack of a guarantee may raise quality concerns among new users. Nevertheless, the product has received numerous positive reviews on Amazon.com with most customers giving 4 and 5-star ratings. This rating implies that Procera AVH is a success. 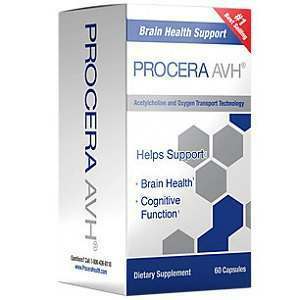 Procera AVH is a suitable product with a reputation for improving both cognitive and brain health. This product combines three major ingredients that can be trusted by users. The main ingredients come from natural sources meaning that they are safe. High pricing and the large number of positive customer reviews are signs of quality and satisfaction respectively. However, the product has some notable downsides. First, there are chances that users might experience adverse effects. Secondly, there is no money-back guarantee in case the product fails to meet users’ expectations. Henry Costa	reviewed Procera AVH	on June 29th	 and gave it a rating of 3.